Only have a few minutes? The Quick Start Guide is intended as a basic guide to help you get started using Slizaa! 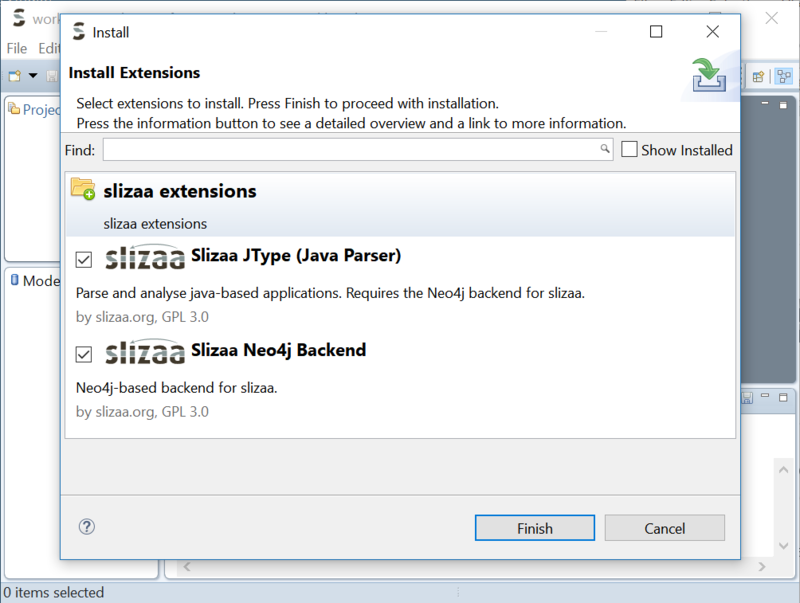 Slizaa is a desktop application and runs on Windows, Mac and Linux (note that Slizaa requires a 64-Bit JRE/JDK 1.8 or higher). Please unpack the archive to an arbitrary folder on your local disc. 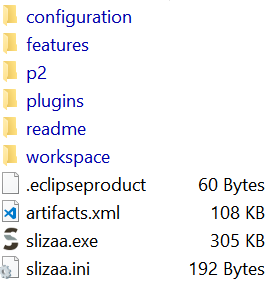 Start slizaa by double-clicking the slizaa executable that you can find in the installation directory. When you start slizaa for the first time, the Install extensions dialog opens up automatically. This dialog allows you to install the required graph database backend and several parsers (currently only the Java language is supported). You can also select the extensions dialog later at any time by choosing Help → Install slizaa extensions. Make sure that you select both the Slizaa Neo4j Backend and the Slizaa JType extension! Follow the wizard to complete the installation.